Somewhere in space, you find two wanderers walking without aim. 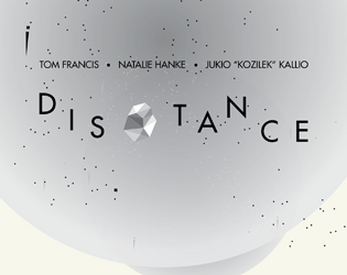 Distance was made during #spacecowboygamejam by @coffee_nat and @pentadact, with music by @jukiokallio. Mac: If a popup appears and Gatekeeper prevents the game from opening (“App can’t be opened because it is from an unidentified developer.”), Ctrl+click or right click on the app and select Open from the contextual menu. Windows & Linux: extract the .zip anywhere, and run the executable.